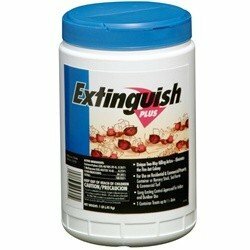 Extinguish Plus Fire Ant Bait is a granular bait that has a unique combination of chemicals that controls Fire Ants by using a stomach poison and insect growth regulator. This powerful one, two punch has proven to be one of the most effective ways to kill Fire Ants. This product is not registered in all states, please call for registration verification. Extinguish Fire Ant Bait is for use on residential property, commercial property, container or nursery stock, farms, commercial turf, pastures, and rangelands. If you have any questions about this product by Extinguish, contact us by completing and submitting the form below. If you are looking for a specif part number, please include it with your message.